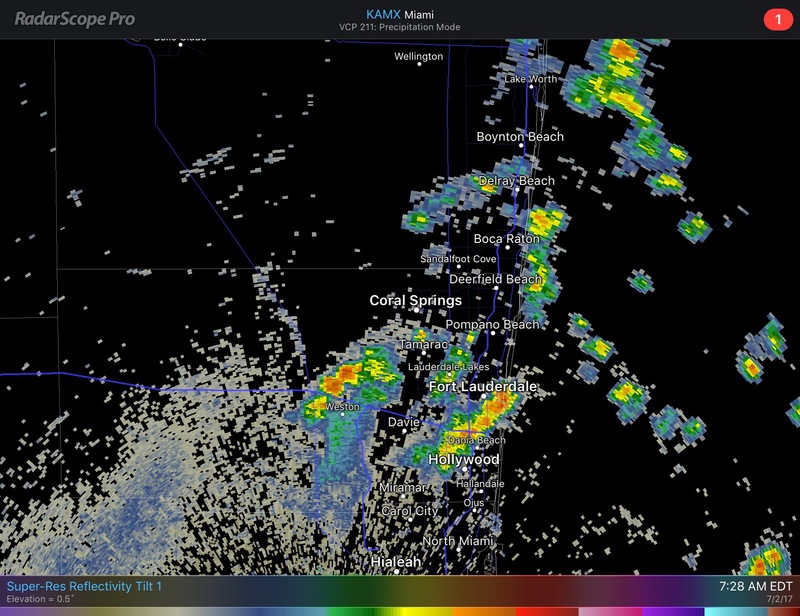 Showers and a couple thunderstorms have come ashore this Monring along the Broward and Palm Beach coastal areas. This activity will focus more inland and on the west coast later in the day and this evening. 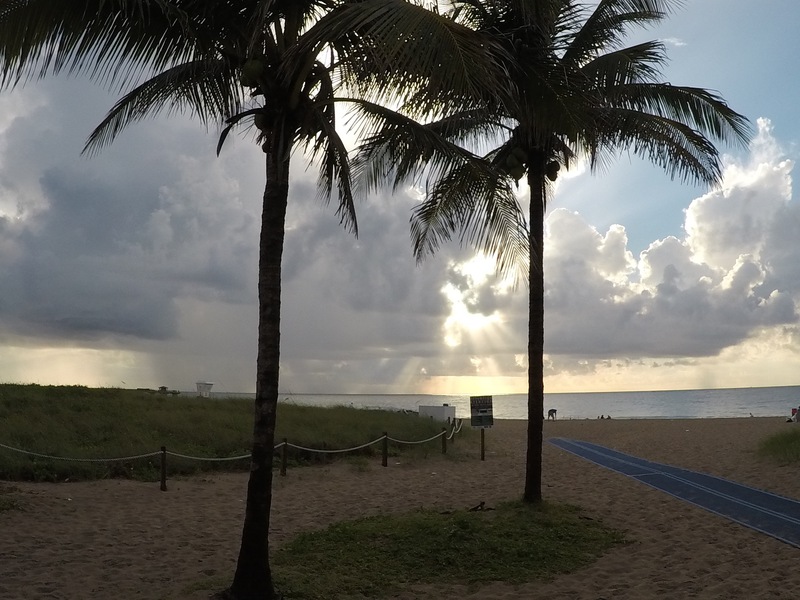 Today we will see some clouds with a high of 90F. 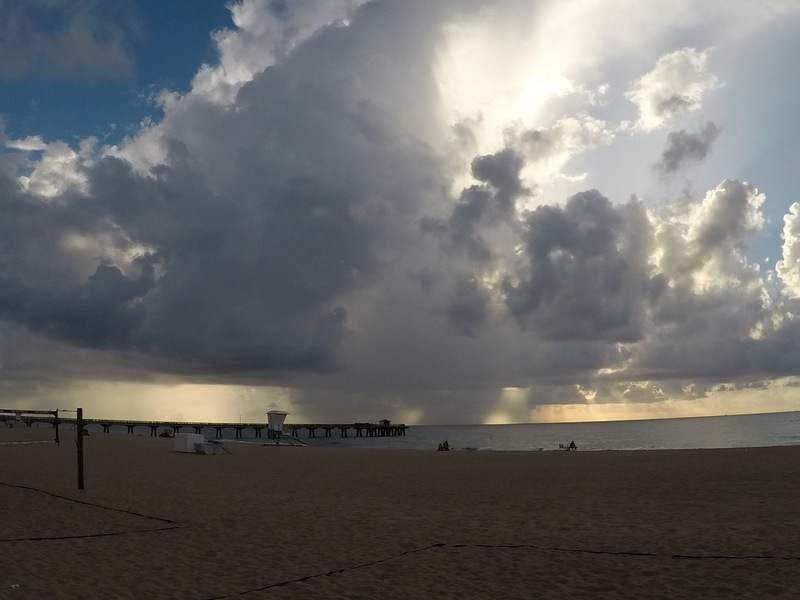 Weather hazards are the same as yesterday with lightning associated with any thunderstorm and a chance of waterspouts this Monring along the Atlantic coast. As far as the Fourth of July, I am taking back the rain chances mentioned yesterday and at his time the guidance shows our pattern will be similar to yesterday and today with some morning showers leaving our evenings mostly dry for fireworks. 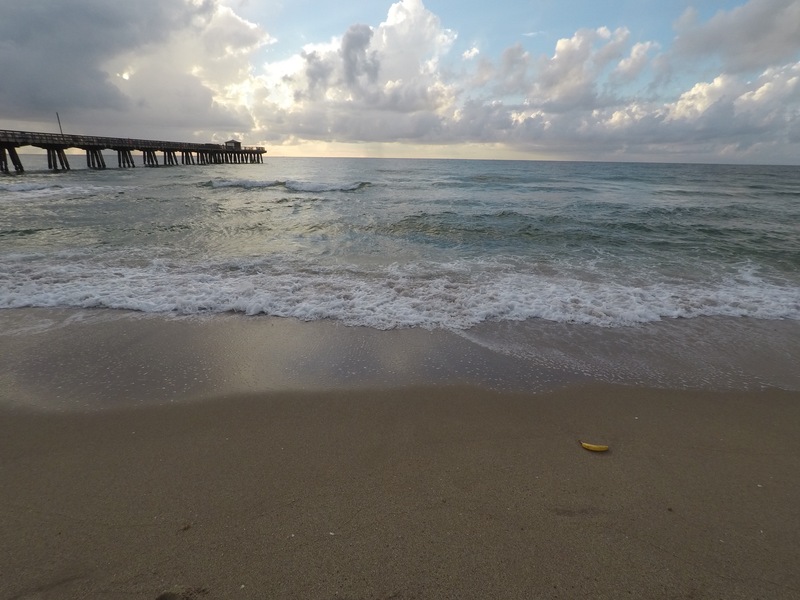 Here are a few pictures from Pompano Beach this morning after the showers passed inland – enjoy!